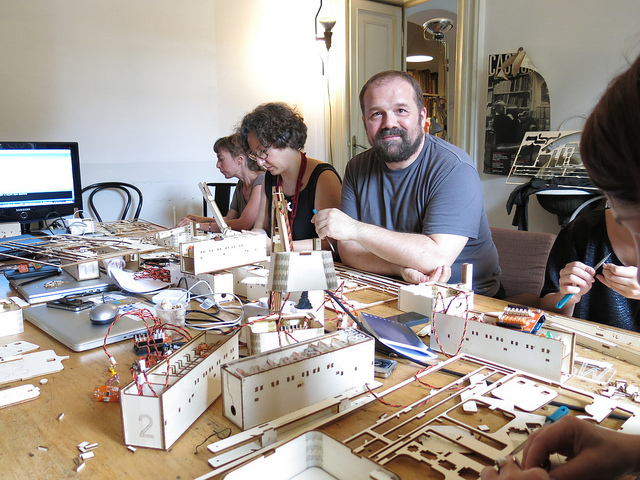 Last weekend at Fondazione Achille Castiglioni Massimo Banzi held a workshop called “Arduino and the light” where participants learned the basics of Arduino and created an interactive lamp digitally manufactured and designed by Habits Studio. The Tinkerlamp was developed to be easily assembled the necessity of any technical notion: a single sheet of wood includes all the pieces to be mounted in interlocking, avoiding the use of glues. 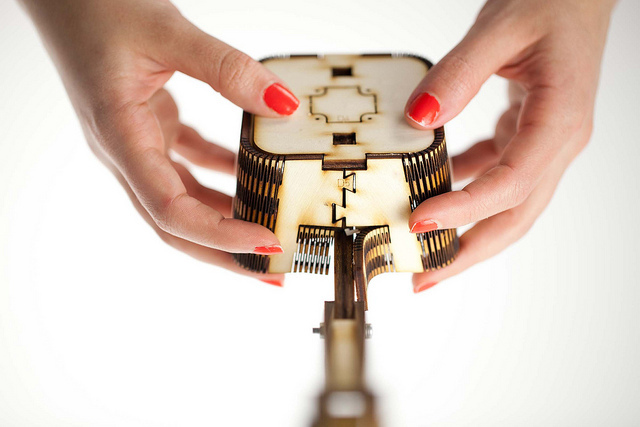 All the files to produce the laser-cut lamp will be are released with an open-source license and now will be downloadable from Habit’s website. 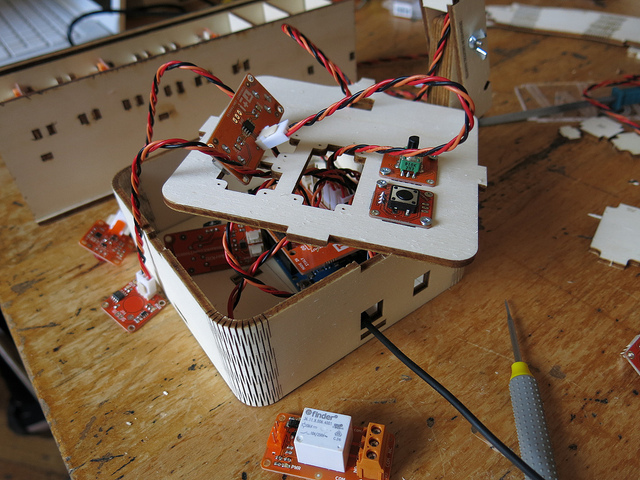 Even without any knowledge of electronics, participants learnt and practiced how to add interaction to the lamp using Tinkerkit, a collection of different sensors and actuators to make prototyping much easier as you can directly hook them up to the Arduino. Take a look at the pictures of the two-day workshop on our Flickr set below, click on it for bigger pictures! Arduino Blog » Blog Archive » Arduino workshop at Fondazione Castiglioni – Visual report, interesante. Me encanta vuestra web.